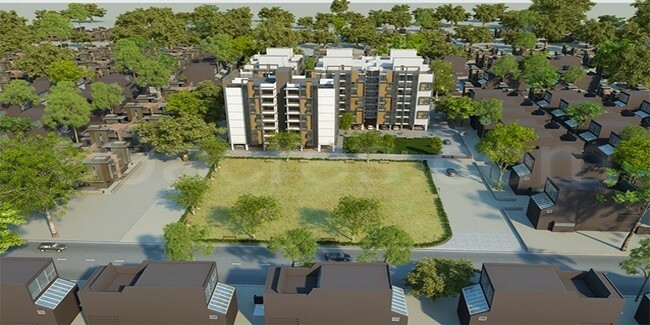 Details: This project is coming up at Nava Naroda, Ahmedabad. The project offers 7 towers of G+6 floors, having 140 units of 2 and 3 BHK apartments. Apart from basic amenities, the project offers landscape garden, sewage treatment, vastu compliant, children's play area, club house, gymnasium, car parking, fire fighting systems, etc.